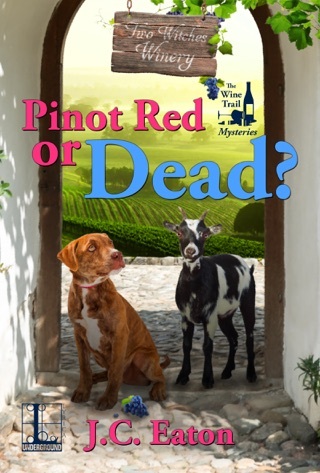 First book in A Sophie Kimball Mystery series! 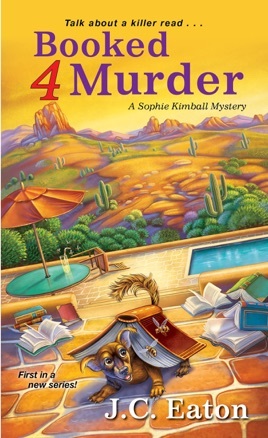 Booked 4 Murder by J. C. Eaton is the first book in A Sophie Kimball Mystery series. Sophie “Phee” Kimball is at work (Accounts Receivable Department at the Mankato Police Department) when she receives a call from her mother, Harriet Plunkett. Phee’s mother claims that the book, The Twelfth Arrondissement is cursed. It is the current selection being read by her book club, Booked 4 Murder. Three members of the book group have already died. She wants Phee to fly to Arizona and figure out what is happening (and she will not take no for an answer) before the curse kills off more of the group. Before Phee can decide, Harriet calls about a fourth woman succumbing to the “curse”. 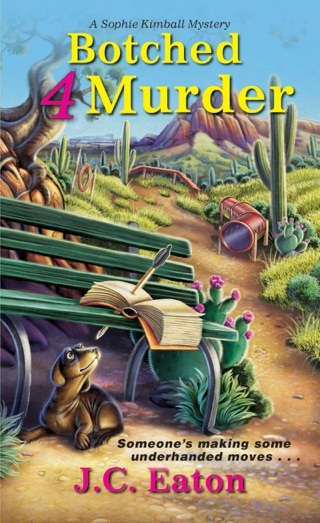 After consulting with her friend, Detective Nate Williams, Phee heads to Sun City West, Arizona. Phee arrives and hears about a fifth member of the book club who almost died from carbon monoxide poisoning. What is going on? Phee hits the ground running with her investigation. She digs into the various members deaths, queries the local librarian on how the books are chosen for the book club, and searches for information on the author of The Twelfth Arrondissement. Phee only has one week before she needs to return to work (if she can survive the heat). Can Phee discover what is happening to the members of Booked 4 Death before someone else is hurt and curse fever takes over the town? 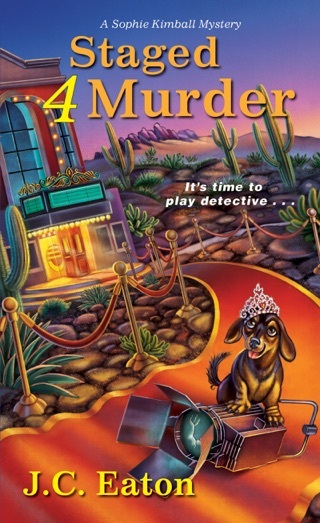 Booked 4 Murder sounded entertaining, but I had a hard time wading through it. I found the pace slow (glacial) and the writing flat. The characters were not fleshed out and given life. Phee’s characters do not go with her profession (that are mentioned early in the book about her). Normally, an accountant is organized and detail oriented (good at taking notes). Phee’s character seemed contradictory. The only character I cared about was Detective Nate Williams (shame he was not featured more prominently). The mother was over-the-top and annoying (her dog, Streetman was obnoxious). I found items to be repeated several times throughout the story. Mentioned most frequently is that Phee is not a detective and how she cannot stand the heat (it was exasperating). There are also a couple of outdated references in the book. I did enjoy the Agatha Christie references throughout the story. My rating for Booked 4 Murder is 2.5 out of 5 stars (I am being a little generous since this is a first book by these writers). The mystery had several moving parts. I would say more but that would spoil it for readers. I believe the author was trying to make a complicated mystery that would bewilder readers. 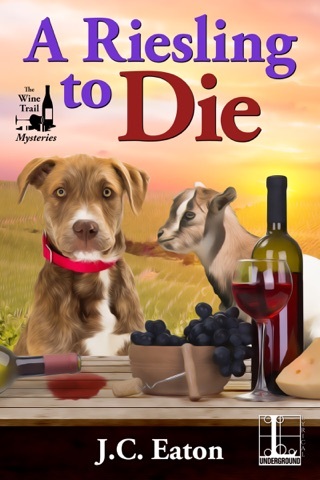 The whodunit can be solved effortlessly (I kept hoping for a surprise twist). The ending is expected and disappointing (and a little shocked that Phee would consider it—she has issues). Personally, I would have preferred that Phee work mysteries with Nate in Mankato. An accountant and a detective teaming up to solve crimes (a unique combo). 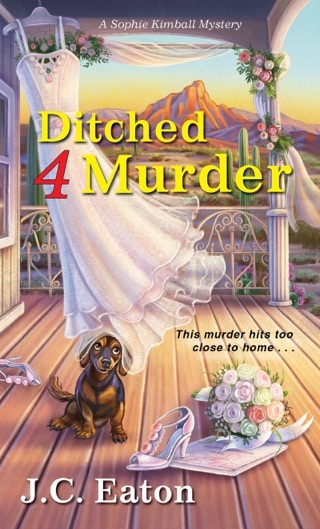 There is a preview of Ditched 4 Murder at the end of the book (the next book in A Sophie Kimball Mystery series). 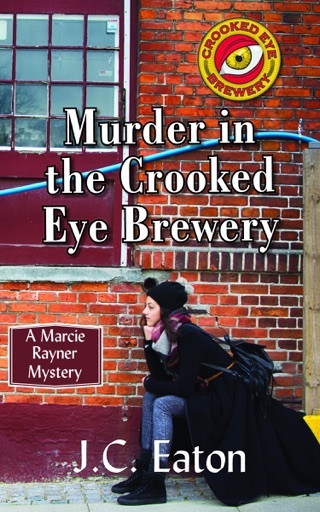 I will not be continuing with the series as it is not the right type of cozy mystery series for me.